← From DEFCON to the clink. 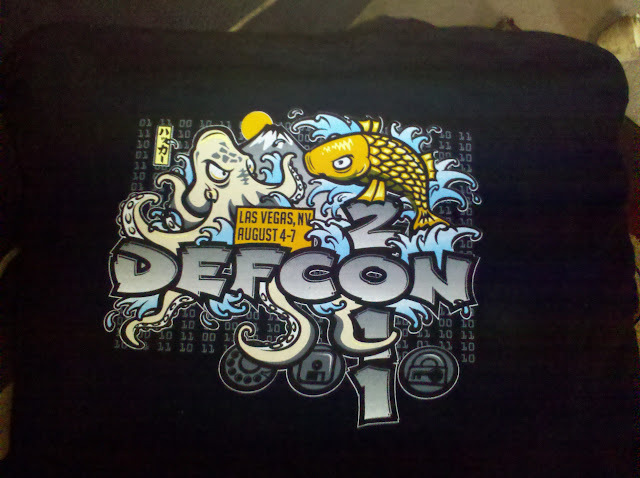 Sweet DEFCON19 stuff and pwnage. While at DEFCON we ran a little hack contest, back at the riv amongst our selves “me, ngharo, black rat, and alex”, to see who could bypass the hotels internet billing system 🙂 I would like to say that i came out on top as leet hacker supreme by getting online first. Yeah im the best hacker ever 😛 dont freak out, we are good people and didn’t actually use the hotels internet in this manner, i personally opted for a slightly more secure method and tethered my phone. ok thats it peace. This entry was posted in CONS, hacking, security. Bookmark the permalink.